Quality outdoor knife from Cudeman of Spain. Having been very impressed with the MT bushcraft knives, I have expanded the range of Cudeman's we sell to include the Woodsman 147. This is an olivewood handled, full broad tang knife, using the MOVA stainless steel, 56-58HRC with a sabre grind. 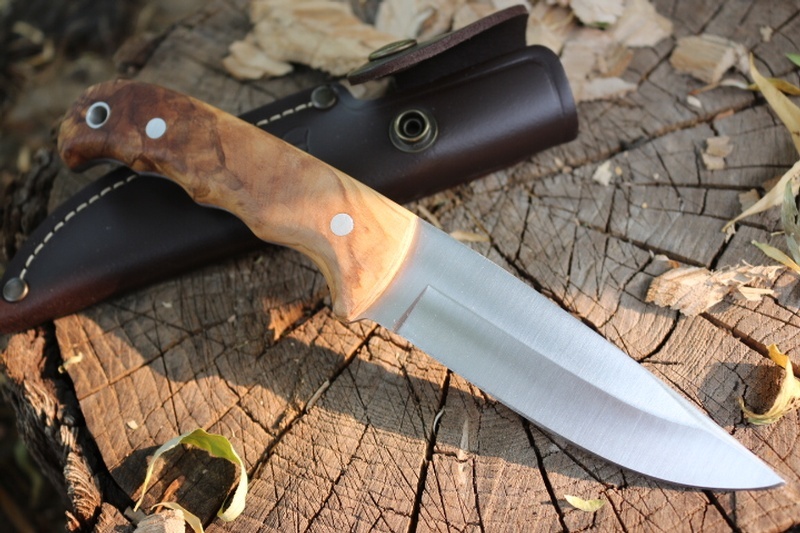 Its a great woods knife, good allaround shape and design and 3.5mm thick is strong and reliable. Stainless pins and lanyard hole, comes with quality leather sheath. Olivewood slabs with Stainless pins. 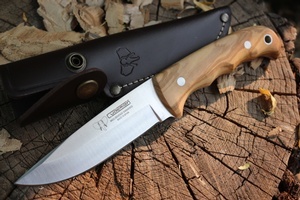 Purchase through PayPal by using the "Add To Cart" button above or use the form below to order the Cudeman 147 Woodsman Knife . 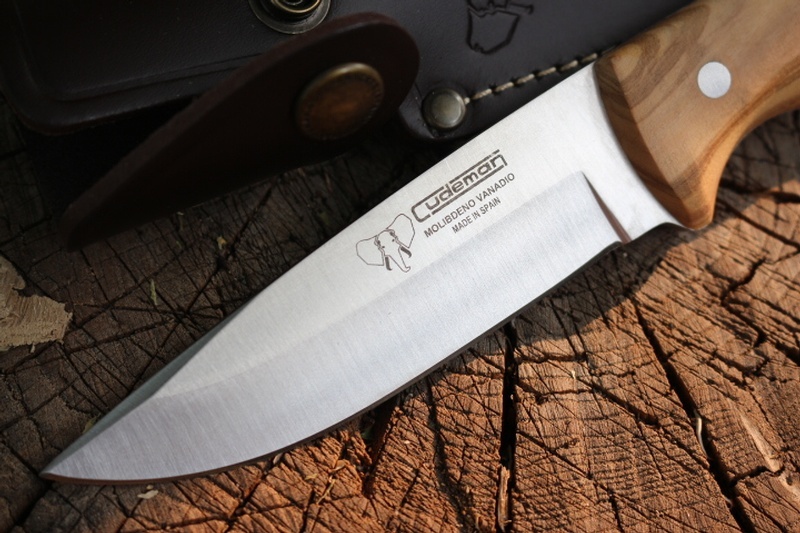 Feel free to contact us if you have any questions about the Cudeman 147 Woodsman Knife .